Wikipedia list of Iranian writers throughout the centuries, which leads to other links with additional information. 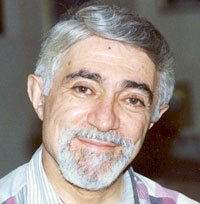 A. H. Afrassiabi was born in 1934 in Esfahan, Iran. Poet, short story writer and critic, he has been living in The Netherlands since 1986. He is trained as an architect and has worked as an urban designer in Holland. 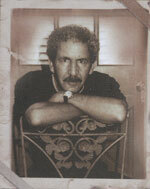 He started writing poetry as a child and is the author of six books of poetry in Persian plus other poems in Dutch. His Persian books are: Harfhaaye Paa-eezee (Autumn Words), Baa Morghaane Daryaa-ee (With the Seagulls), Eestgaah (Station), Bar Arze Raah (On the Way), Harfhaaye Ezaafe (Additional Words), and Taa Eestgaahe Ba’dee (Until the Next Station). His Dutch poems appear in “Voetsporen” as well as other publications. As chairman of The Iranian Foundation for Culture and Knowledge, he has organized a number of bilingual readings. 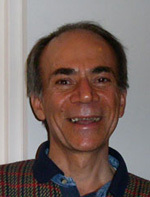 Majid Naficy was born in Iran in 1952. He published poetry, criticism and an award-winning children’s book in Iran. During the 1970’s Dr. Naficy was politically active against the Shah’s regime. After the 1979 Revolution, as the new regime began to suppress the opposition, his first wife, Ezzat Tabaian and his brother Sa’id were amongst the many to be executed. He fled Iran in 1983, eventually settling in Los Angeles with his son Azad. He has since published six volumes of poetry in both English and Farsi, as well as numerous books of criticism. His most recent volume of poetry in English, Father and Son, was published in 2003 by Red Hen Press and his poem “I Don’t Want You Petroleum” appears in Sam Hamill’s Poets Against the War (Thunder’s Mouth Press / Nation Books, April 2003). He holds a doctorate in Near Eastern Languages and Cultures from the University of California in Los Angeles. 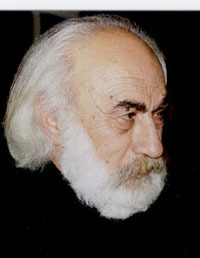 His doctoral dissertation, Modernism and Idealogy in Persian Literature: A Return to Nature in the Poetry of Nima Yushij (University Press of America) was published in 1997. Dr. Naficy is also the co-editor of Daftarhaye Kanoon, a periodical in Farsi published by the Iranian Writer’s Association in Exile. See Mr. Naderpour’s official website for information. One of the rising stars of Iranian poetry, Ziba Karbassi was born in 1974 in Tabriz, Iran. She left Iran in 1989 and now lives between London and Paris. She has published five volumes of poetry in Persian, all outside Iran, and continues to write prolifically. Her poetry tackles difficult themes with a mastery of craft and has received wide critical attention. She has been translated into several languages. An entire volume of her poetry is being translated into English by Stephen Watts. She was recently voted as Director of the Association of Iranian Writers in Exile. Ms. Karbasi tours on a regular basis to present her work and participate in various events. Saghi Ghahraman was born in 1957 in Mash’had, Iran. She studied Classic & Contemporary Persian Literature at Azarabadegan University in Tabriz. Following the attacks on the women’s organization she was working with, she left Iran in 1982 and stayed as a refugee in Turkey until 1987. She now resides in Toronto where she works with PEN Canada’s Exiled Writer program, and is on the board of editors for Descan, a literary magazine in Canada. She has published three collections of poetry, and one collection of short stories by Afra-Pegah publishing, Of lies (1997), And the Whore is the Savior (1998), Saghi Ghahraman, That’s All (2003), and It’s Painful to Be a Cow When You’re Lonely (2003). Saghi also presents her English Poetry at venues such as Metropolice Blue, Montreal, 2001, and The Festival of Books, Windsor, 2003. Reza Farmand was born in 1956 in Tabriz, Iran and spent his elementary and junior high years in Teheran. Later, he studied Social Sciences in India and English Studies in Denmark. Poetry seduced him since an early age. His first volume of poetry, The Eternal Dance, was published in Iran in 1984 but was censored and banned for containing words like "breast" as well as addressing social issues. He’s lived in Denmark since 1985. He has published eight volumes of poetry outside of Iran. His most recent volumes are, My Mother did not Become Beautiful, White Nights, and Polar Poems.